Do you love traditional freelance journalism but struggle to earn a living? Brand journalism might be a perfect fit for you. By writing content for companies, you can put your great storytelling skills to work in a growing, lucrative market. Brands have the budgets and the motivation to pay good writers what they’re worth. But how do you find brand journalism gigs? And once you do, what’s the secret to carving out a niche, landing repeat business, and making more money as a freelancer? There’s a few key ingredients to success in brand journalism. And once you know the basic recipe, you’ll be able to create your own blend of skills and marketing strategies to land brand journalism gigs, move up and earn more. 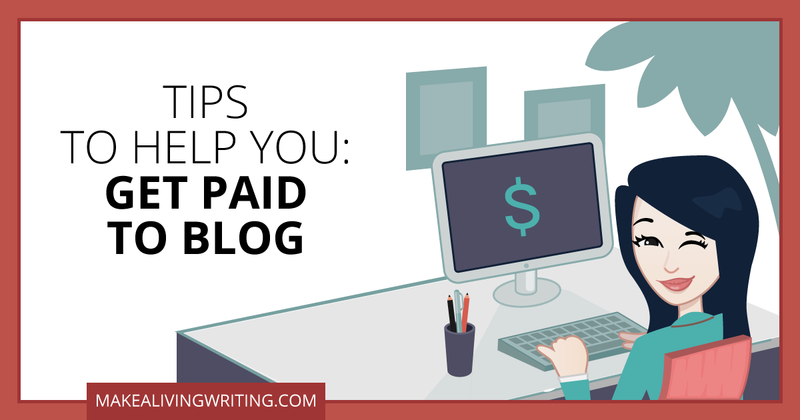 Have you wondered if business-to-business, a/k/a B2B content marketing, might be your ticket to a bigger writing income? So. B2B is definitely an area with a lot of marketing money in it. That’s because the products and services sold to businesses can be expensive, from fancy copy machines to $10,000 consulting packages and up. The more something costs, generally, the more elaborate and costly the marketing process is — and the more writers stand to make. But there’s a problem: Simply saying you write B2B doesn’t get clients excited about hiring you. In fact, positioning yourself that way can send the very clients you want running for the exits. Let me explain the one simple tweak to make to connect with great-paying B2B clients. Ready to prepare for a great year of freelance writing? It’s time for my annual freelance forecast, with all-new predictions on the trends that smart writers will capitalize on in the coming year. I feel pretty good about how my 2017 predictions worked out. But this year, I decided to take it up a level. I asked all the savvy observers of the freelance scene I know to weigh in with their predictions, too. What new trends are growing? What will pay well and what will be a bust? Read on to learn what freelancers will we see more and less of in 2018. When you read a blog, do you think the blogger is focused on delivering useful information to help you? They may not be. I’ve recently become aware that the world of sponsored content — a/k/a native advertising or sponsored blog posts — has gotten a lot shadier. To sum up, some bloggers are lying to you about their relationships with sponsors. Worse, they don’t see a thing wrong with it. Today, I’m ripping the lid off the growing problem. It’s secret collusion between some link-seeking companies and unethical bloggers to deceive their readers and pass off paid promotions as their unbiased recommendation. When I started looking into this, I could hardly believe it was real. But it’s a growing problem that threatens the reputations and livelihoods of every freelance writer who works online.